The winner of the International Garden Photographer of the Year - Competition 8 - is Magdalena Wasiczek with 'The Ballerinas'. "This stunning image of Hydrangea petiolaris is a worthy winner of IGPOTY. What I particularly like about the shot is the way the photographer has melted the rich purples and oranges of the Hydrangea into the out-of-focus background, creating a delicious melange of colours. 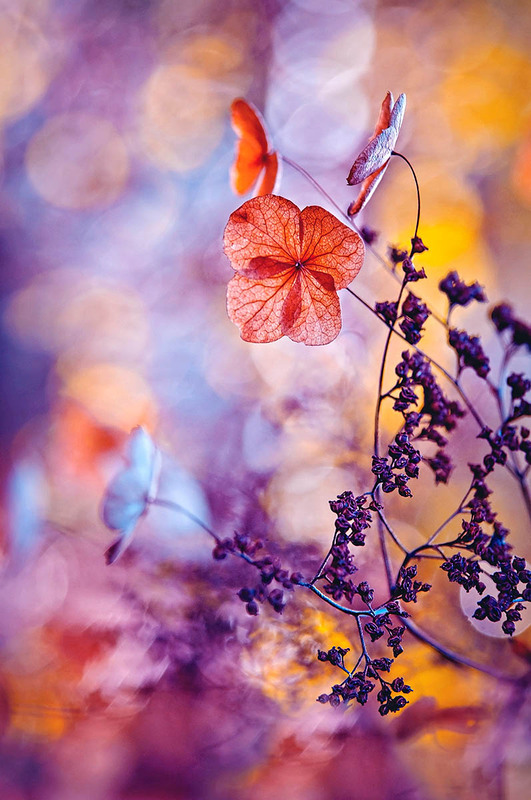 The focus on the single delicate Hydrangea flower is spot on, creating a striking and unusual winter portrait."